Their results, published in Naturwissenschaften – The Science of Nature this week, provide another twist to the story – the first molecular evidence for medicinal plants being used by a Neanderthal individual. The researchers say the starch granules and carbohydrate markers in the samples, plus evidence for plant compounds such as azulenes and coumarins, as well as possible evidence for nuts, grasses and even green vegetables, argue for a broader use of ingested plants than is often suggested by stable isotope analysis. Earlier research by members of this team had shown that the Neanderthals in El Sidrón had the bitter taste perception gene. Now trapped within dental calculus researchers found molecular evidence that one individual had eaten bitter tasting plants. Ten samples of dental calculus from five Neanderthals were selected for this study. The researchers used thermal desorption and pyrolysis gas-chromatography-mass spectrometry to identify both free/unbound and bound/polymeric organic components in the dental calculus. 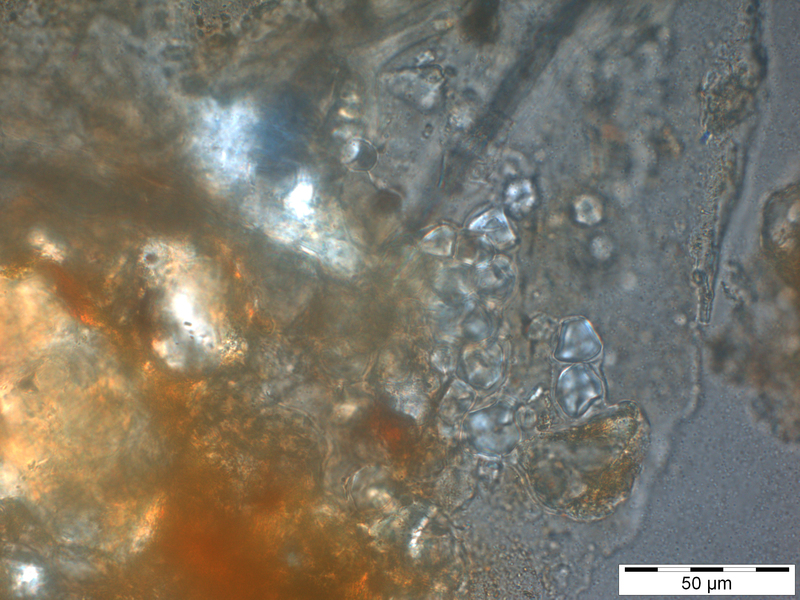 By using this method in conjunction with the extraction and analysis of plant microfossils, they found chemical evidence consistent with wood-fire smoke, a range of cooked starchy foods, two plants known today for their medicinal qualities, and bitumen or oil shale trapped in the dental calculus. Fieldwork at El Sidrón, conducted by researchers from the University of Oviedo, is funded by the Department of Culture, Principality of Asturias. The dental calculus samples used in this study were provided by the laboratory leading the study of the human remains discovered in El Sidrón, which is located at the Museum of Natural History in Madrid – CSIC.